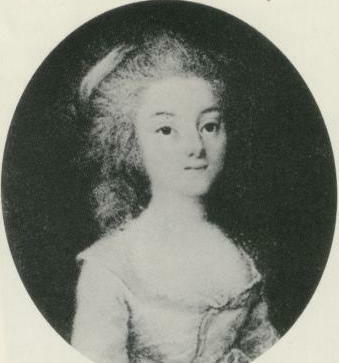 Eliza and her younger Jane Austen first got to know each other properly in 1786 when Eliza returned to England to pay her Austen relations a visit. It seems like a remarkably ill timed venture to be honest as Eliza was heavily pregnant at the time and ended up giving birth to her son, Hastings, before she had even managed to leave Calais. Nonetheless, the intrepid Eliza continued with her journey and went on to Hampshire, where she bewitched her Austen cousins with her charm and tales of glamorous, exciting Paris and Versailles. Along with Jane, Eliza also became very close to Henry Austen, Jane’s favourite brother and the two spent rather too much time flirting with each other, despite the fact that Eliza was ten years his senior. You can imagine them walking together in the garden – handsome Henry and the vivacious little Comtesse with her Anglo French accent and charming, flirtatious ways. It must have been a wrench when she had to return to Paris. Eliza was to return to England with her mother and son in tow in 1790, after the outbreak of the French Revolution and in one of the first waves of French emigres who landed on English shores at this time. Her husband remained behind in Paris and would be arrested and guillotined in 1794 – an unfortunate tragedy that imbued his pretty little widow with even more tragic glamour in the eyes of her cousins.